Seasonal affective disorder (SAD) is characterised by recurrent depressive episodes, occurring typically in winter (i.e. winter SAD). The atypical symptoms of depression frequently precede the onset of each episode and are closely associated with the recurrence of the episodes. Winter depressive episodes are mostly of mild to moderate severity. Patients with winter SAD seldom require hospitalisation, have psychotic symptoms or are at risk of suicide. However, most patients do experience marked impairment of functioning at work and in their social relations. Light therapy is the treatment of choice for patients with winter SAD. Treatment with bright light in the morning results in remission in two-thirds of patients with mild episodes, but in less than half of those with moderate to severe episodes. The clinical response to the daily administration of light is usually observed within 1 to 2 weeks of the onset of this treatment. The presence of atypical symptoms of depression, rather than the severity of the episode, best predict a therapeutic response to light therapy. It is recommended that therapy be continued throughout the winter to prevent relapse and optimise outcome. Preliminary data from controlled trials indicate that drug treatment may also be effective in patients with winter SAD. 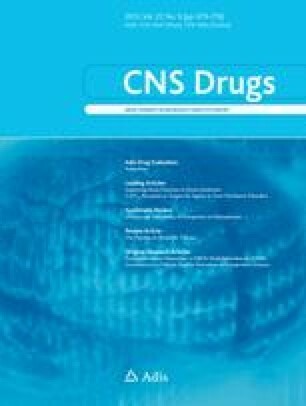 Current data suggest efficacy for the selective serotonin (5-hydroxytryptamine; 5-HT) reuptake inhibitors fluoxetine and sertraline, and the reversible inhibitor of monoamine oxidase Amoclobemide. There are no studies on the efficacy of psychological therapies in these patients. Comorbid disorders frequently influence the clinical picture in patients with SAD by modulating the course of illness, and each may require specific intervention.